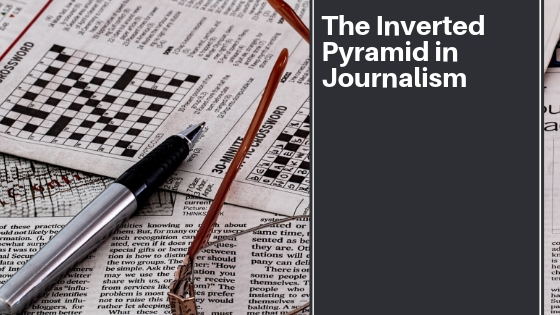 The inverted pyramid is most recognizable due to use by journalists. The method is simple to learn. In fact, you may have already learned it if you have written essays or term papers. The first section is the lead. It consists of the basic questions: Who? What? When? Where? Why? How? Then, the body paragraphs are next and finally the conclusion. Let’s look at each of these individually for a more in-depth comprehension. Above all else, let’s focus on the story’s lead. This where you answer the six major journalistic questions: Who? What? When? Where? Why? How? It’s important to note that you won’t be able to answer all of these every time. Answer as many as you can, however, and make sure you get as much in-depth information as possible. This ensures that you draw your reader into your news story. You want to essentially “hook” your reader onto your writing. Why should they care? Why should they keep reading and find out more? This section holds the most relevant information of the story. If you’re using this in journalistic writing, keep this in mind: most readers skim and only read the first paragraph. If they don’t find what they want to know, then they find a news story that will answer their question. Be that writer that answers their questions. The reader gauges whether or not your news story is what they want to read. On that note, I urge you to write your lead — and the rest of your story — to your editor’s standards. Hear me out on this. You may not ever meet the bulk of your readers. These readers have a wide range of reading levels. Their education levels are over the chart. They may have a specific style of writing which really catches their eye. You can’t drive yourself crazy with this list. Write your story in your writing style, your education level and your reading level. You can’t overwhelm yourself by knowing that people aren’t reading it. Just know that someone is reading it. That should be good enough. Gradually move into your body paragraphs. These are your middle paragraphs. Any facts and quotes will appear within this section. In journalism there is a hierarchy. The information goes most important to least important. Readers are going to be looking for this format each time. Essentially, you don’t tell readers the punch line before the joke. And why would you? It would confuse them. They would stop reading your story and find another writer who wrote it better. Journalistic writing and types of stories are always different. However, the inverted pyramid usually stays the same. Any argument or evidence you have for your story should go within these bulk paragraphs. This also includes any supportive details. Background information and thorough analysis may be something to include here. You’re giving your readers the meat of the story. Back up any claims you have with proof. Make sure that these claims always go from most important to least important. After all, that is the structure of the inverted pyramid. Finally, we move into the conclusion. This is the wrap-up portion of your news story. Include any final details which you want your readers to know. You can also include a short biography of you (the writer). Post your email address, social media accounts or a website. Some journalists post a phone number, but I wouldn’t recommend this unless it’s your office number. Don’t ever post your personal phone number. The end of the article may also include a call-to-action. This is useful if you write feature stories or cover city meetings. At the end of your article, you may indicate when an upcoming event will occur. This informs the public of the event. Readers may not always have access to technology so keep this in mind. What has been your experience with the inverted pyramid? Leave me a comment.